Riding alongside Castle Peak in the White Cloud Mountains. 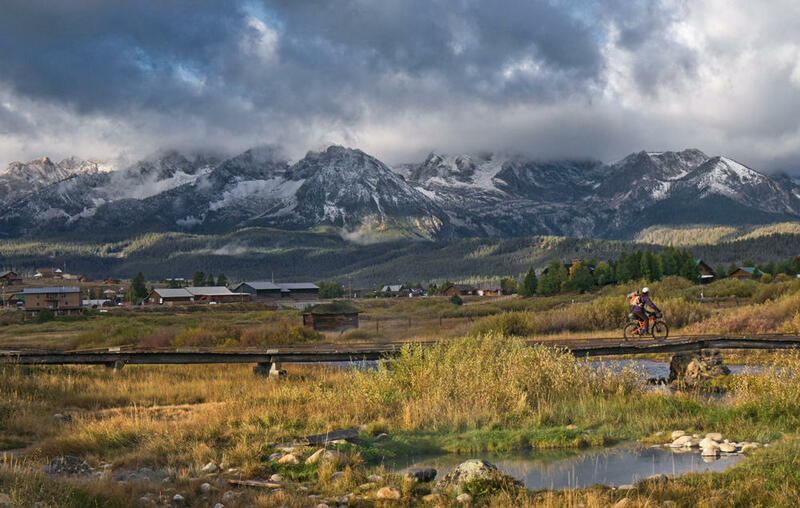 Sublime singletrack and views of Redfish Lake and the Sawtooth Range. Ripping through a creek crossing. Powerplant Hot Springs is the perfect reward after a hard day’s ride. 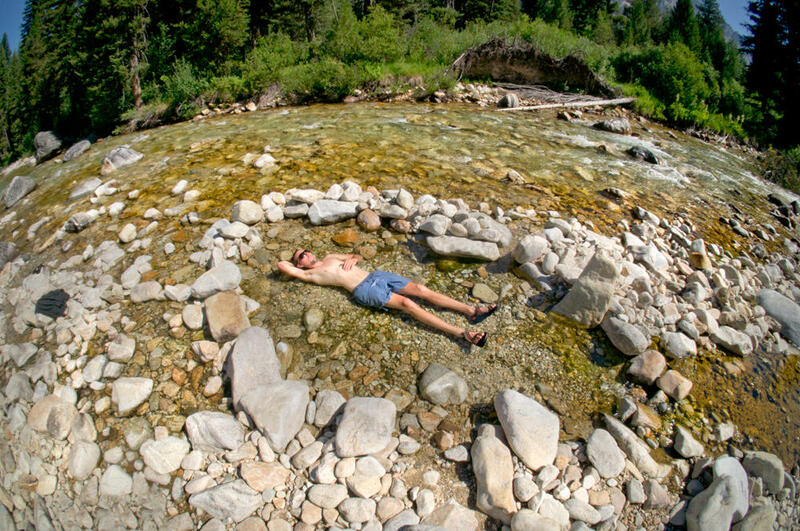 Late September snow in the Sawtooths call for an early morning soak at Snakepit Hot Springs. Relaxing at a hot springs along the Middle Fork of the Boise River. The main route is a giant loop that’s 518-miles-long. It includes Featherville, Ketchum, Sun Valley, Stanley, Warm Lake, McCall, Crouch, and Idaho City. The maps include instructions for bikers who want to hop off an airplane in Boise, and catch up with the main route. There are also four substantial single-track options for riders. The Sawtooth Range and Stanley, Idaho. Find more information on the maps here.